Container shipping freight rates in the major east-west trades look set to decline next week, according to today’s Shanghai Containerised Freight Index (SCFI). The index, which shows rates quoted for the forthcoming week, shows them ticking down on the China-North Europe, China-Mediterranean, transpacific and China-US east coast routes. The past few weeks have been better for carriers, particularly on the transpacific. According to the Drewry-assisted World Container Index (WCI), which records rates paid over the previous week, spot rates on the Shanghai-Los Angeles corridor gained 11% last week, to reach $1,537 per feu, some 31% up on the same period in 2017, and was attributed to industry efforts to curtail capacity. However, this week the SCFI predicts a 4.1% decline, with its quoted rate today at $1,616 per feu, down from $1,685 last week. 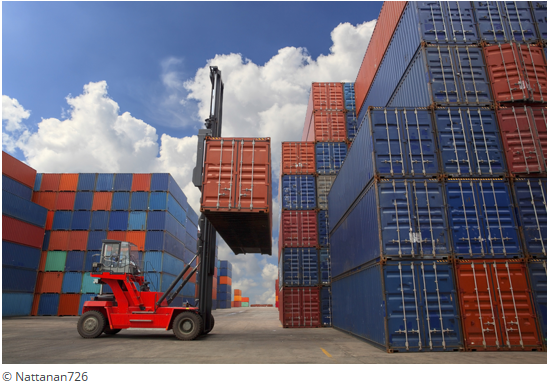 Quoted rates on the Asia-US east coast, are set to drop 2.2% week on week, to $2,650 per teu. Meanwhile on the Asia-Europe trades, rates have largely stabilised. The Shanghai-North Europe component of the SCFI declined 2.2% to $863 per teu, while the SCFI’s recoding of the Shanghai-Mediterranean routes saw rates down 2% to finish at $869 per teu – levels well below where carriers would like them to be with the peak shipping season almost upon the industry.